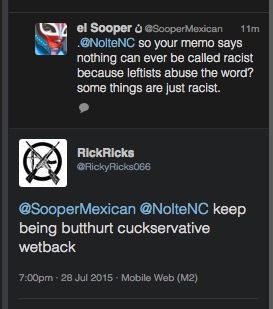 It’s really sad to see so many decent conservatives suckered into defending a racist slur like “cuckservative” because they’re stubborn about idiotic leftists calling us racist. I understand the knee-jerk reaction, I totally do. But some things are just racist. 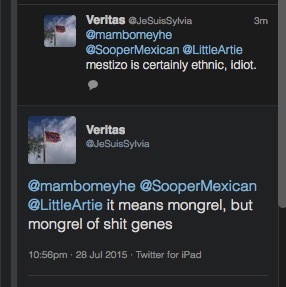 Here’s one to another conservative who happens to be a minority – do you guys really want to support this? LOL! I don’t understand why these people are so angry at me, because they seem, with their racist epithets against me, that they agree with me that it’s racist. Why are they so angry? LOL! 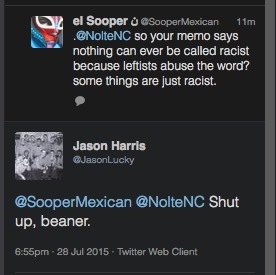 you don't defeat liberals falsely calling you a racist by… actually being racist lol #protip? Anyway, I sincerely implore reasonable conservatives to drop the hashtag. 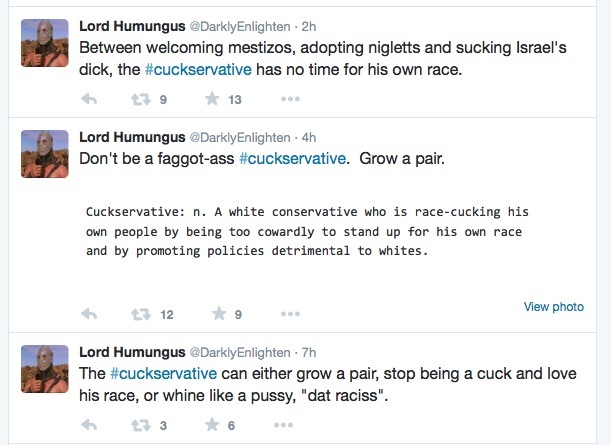 You’re aligning yourself with people who are attacking others purely based on race, especially other conservatives. It’s just hurting our cause.